Maybe there are no cats for sale in your chosen breed, or they are too expensive? An alternative is finding mixed breeds with similar traits to use as foundation cats. 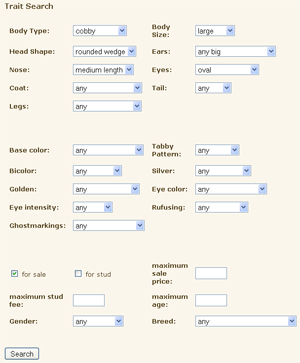 Breed them to studs owned by other players, or again close mixies. A basic understanding of cat genetics is helpful here to achieve faster results, but not required. You can just go by phenotype (=the outward appearance of the cat), and see what you get! For this, you may want to look at the more complex trait search (click to enlarge picture). 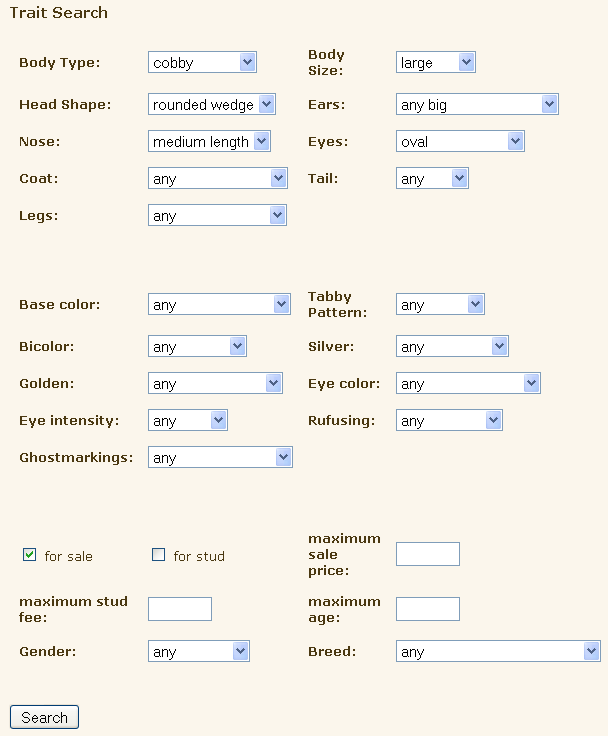 Enter the body traits of your chosen breed, but leave coat and eye color blank, and make sure you tick the "for sale" box. 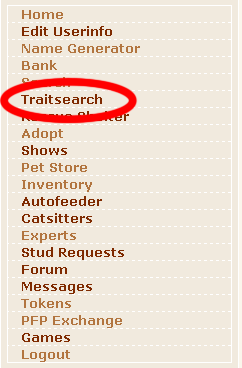 If you don't get any (or not enough) results, set one or two of the traits to "any" to widen your search. The "looking for" forum may help you find the cats with your specific requirements as well, but it will, of course, take time for people to respond.